Where is the best secondary school in England? Blackburn – and, defying all stereotypes, the school that came third in this year’s national GCSE rankings is also in the Lancashire town. So why haven’t more people heard that this is the country’s educational powerhouse? Is it because both are Muslim state schools? Or because they’re in a northern former mill town, rather than a north London suburb? “People sometimes don’t see past the name,” says one of the pupils at Tauheedul Islam Girls’ High School, in first place in the secondary school league tables, now based on how much progress is made by pupils. All the pupils are Muslim and most seem to be wearing headscarves – and the girls talk about having to pre-empt other people’s preconceptions. Blackburn this week was announced as one of five locations in England for a government strategy to promote integration. It’s a town that has been the focus of warnings about segregation and communities living apart. “There is an assumption about a lack of integration,” says Umairah. But when people actually come to the school, she says, they are “pleasantly surprised”. She says the school goes out of its way to organise links with other religions, community service, voluntary work and projects such as the Duke of Edinburgh awards. The teenagers here are unconvinced about the narrative of segregated northern towns, seeing it as being overblown by “outsiders”. And they’re quick to reject the idea that they might have closed minds or narrow views. One of the pupils, Aaliyah, says there is no contradiction between her religion and other parts of her identity. “We’re Muslim, women, northern. They complement each other. 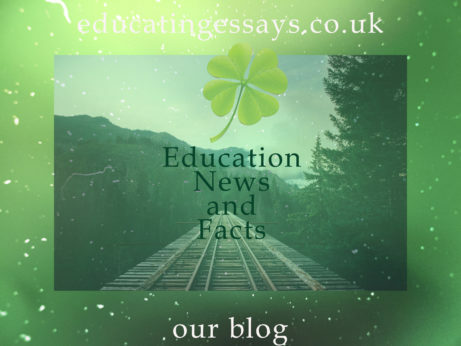 The exam results are spectacularly good, with an intake that has no academic selection and with an admissions policy that prioritises pupils on free meals. Aaliyah says her dad didn’t get the chance to go to university, but he’s now full of pride that Aaliyah’s older sister is studying medicine at Oxford. Head teacher Lukman Ahmed says the “key motivator” for the school is to give the best possible chance to youngsters from “impoverished backgrounds”. “We live in a time when inequality is a big issue, when people are questioning whether social mobility is really possible. People have been left behind. Mr Ahmed says that in terms of “integration”, the most important task for a school is to make sure that young people leave with the qualifications that help them to get a good career so they can widen their horizons. It’s a very stretching academic approach, with targets that mean children on free school meals are expected to get better grades than their better off counterpart in other schools. The head teacher says this might have got them to the top of the league table, but that isn’t the point. “If you worry about league table positions, you’re on a hiding to nothing. What we want to do is deliver on our mission. A mile or so away is the Tauheedul Islam Boys’ High School, the third best school in the country, according to the league tables. There is the same focus on high academic expectations and character-building community work, such as helping in old people’s homes or in soup kitchens. Head teacher Majid Ditta says many of the families it serves are from two-up, two-down backstreets. But he says that half of the young people leaving the Sixth Form are going on to study medicine or medicine-related degrees, many at leading universities. Critics say faith schools are a barrier to integration, but Mr Ditta says: “Integration in the true sense of the word is opening gateways. “So if our students go to the best Russell Group universities, or the best apprenticeships, the ceilings for their lives are totally lifted. The school’s head boy, Ashraf, says the teachers are like parents to them. And when some of the pupils’ parents don’t speak English as a first language, it means even more demands on the teachers to provide the support not available at home. Lisa Crausby, education director for the Tauheedul Education Trust, and lead inspector for Ofsted, says she was “blown away” by the maturity and sense of purpose she found at the schools. Both schools are heavily oversubscribed – and as a free school there is a 50% cap on the number of places allocated on the basis of religion. In theory half of the places could go to non-Muslim pupils, but in practice, because of parental choice and local demographics, all the pupils are Muslim. The government has announced it is scrapping this cap on free school admissions – which is expected to see the number of faith schools increasing. At present, Muslim schools are a relatively small number – with figures published last year showing that out of more than 6,800 faith schools in the state sector, only 27 were Muslim. The trust running the Tauheedal schools wants to take on more schools, both faith and non-faith, but particularly in disadvantaged areas. “What’s the moral imperative? If you want to have a secure future, you can’t have large percentages of our young people failing,” says the trust’s chief executive, Hamid Patel. The Education Secretary Damian Hinds has already been a visitor to the trust, on one of his first trips to the front line. The trust has ambitions to be its own northern powerhouse. And so far, it’s a success story that has defied the predictable. Check our site to order an essay for you!